**Please Note – The printable recipe card with detailed instructions, complete ingredient measurements, and nutritional information for making Everything Bagel Chips is available near the end of this post. Subscribe to my Kudos Kitchen channel on YouTube! Truth? I made these everything bagel chips for the upcoming Memorial Day holiday because we’re having guests. After I’d taken the everything bagel chips out of the oven, I had to continue to slap away the hands of my husband and son because these things are SO addicting!! I eventually had to hide the chips with the promise to my family that I’d make them again very, very soon. OR, (as I told them) you can make them yourselves. I wouldn’t mind that one bit…and while you’re at it, please bring me a cold beverage. LOL. Yeah, Like THAT’S going to happen! These everything bagel chips are so good to eat on their own that they don’t need any dip at all. Of course, you can still dip them in whatever strikes your fancy (if you feel the need), but it’s certainly not necessary because they’re so packed with flavor just the way they are! Up until the other day I had never made homemade bagel chips before and had always purchased them at the store. Don’t get me wrong, while the bagel chips from the store are still good, these homemade everything bagel chips are SO MUCH BETTER! And, they’re made without preservatives or weird ingredients! Since I wanted these chips to be as crispy as possible, I decided that the best thing to do was bake the bagel slices twice before adding the oil and seasonings. I was afraid that if I added the oil to the sliced bagels before baking them, the oil would get completely absorbed into the slices and not be distributed evenly throughout the entire batch of chips. This method worked like a charm, and the result is a chip with all the crunch your ears can handle! If you’re wondering about storing your everything bagel chips (if you have any left to store, that is) so they remain crispy, I recommend placing them in a brown paper bag. A lunch-size bag is a perfect fit. The breathability of the brown paper bag is just the thing these chips require for retaining their maximum crunch factor! 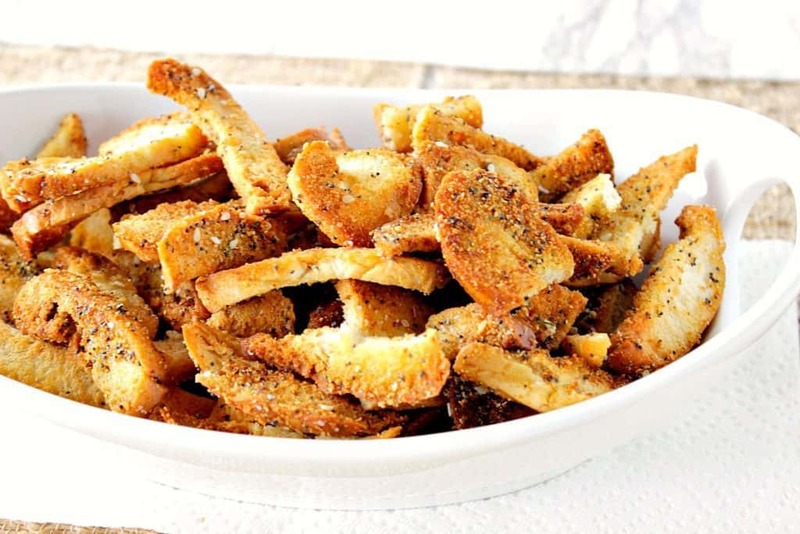 **The following affiliate links are some suggested products I’ve chosen that will aid you in the making and serving of this recipe for Homemade Bagel Chips if desired. Below is the printable recipe card for today’s Everything Bagel Chips. Beware! 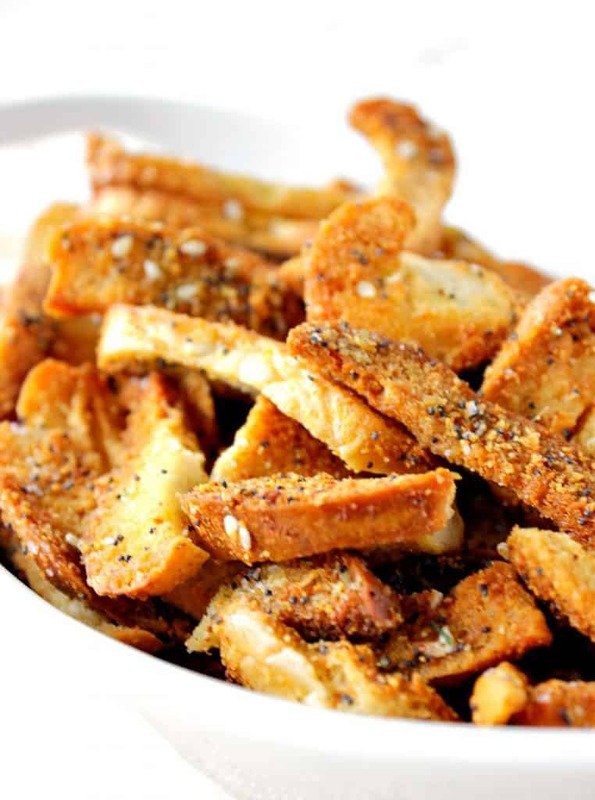 These homemade Crispy Crunchy Everything Bagel Chips are so addicting that you can't step away. Please proceed with the utmost caution! Place the sliced bagels on a baking sheet and bake in a preheated oven for 15 minutes. Remove the bagels and flip them on the baking sheet. Return the bagel chips to the oven for an additional 10 minutes. Meanwhile, mix together the dry ingredients in a medium bowl. Remove the bagel chips from the oven and place them in a large bowl. Add half of the oil to the chips along with half of the spices. Stir well. Add the remaining oil to the chips along the with remaining spices. Stir well. Return the seasoned chips to a baking sheet, in an even layer. Reduce the oven heat to 350 degrees and bake the chips for an additional 10 minutes. These everything bagel chips are best stored in a paper bag at room temperature for up to 5 days. I sincerely hope you’ve enjoyed today’s recipe for Homemade Crispy Crunchy Everything Bagel Chips as much as I’ve enjoyed bringing it to you. 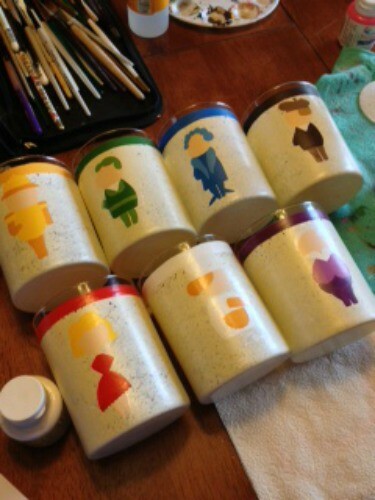 I’ve decided to pair this recipe post along with my fun and whimsical hand painted set of CLUE character drink glasses. 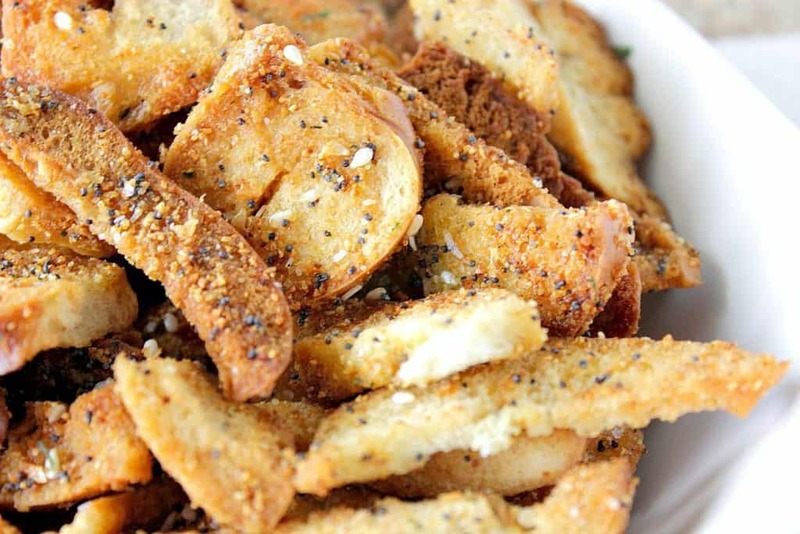 After all, if you’re having a party (maybe a game night) and serving these homemade everything bagel chips, then you also want to serve your guests a delicious beverage in something unique and completely unexpected. 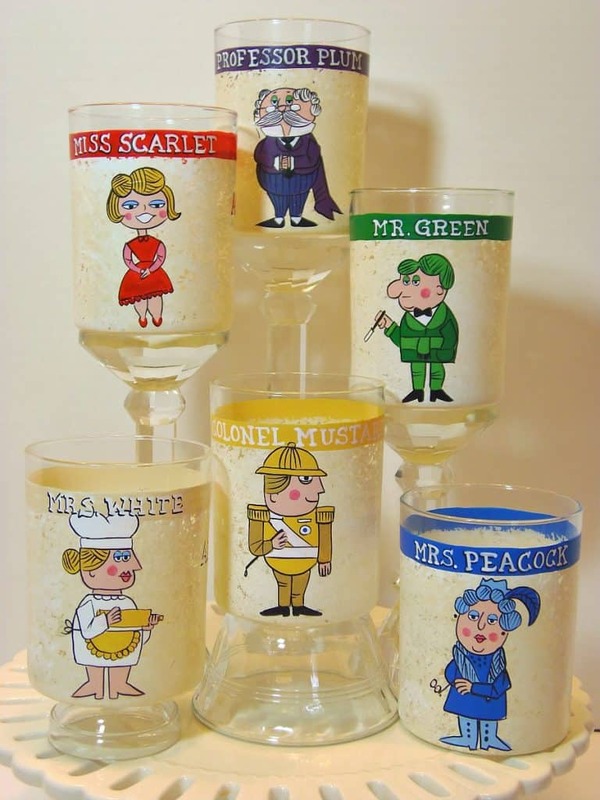 I have a quick little story to tell of these Clue character drinks glasses. Last Christmas, Delta Burke (of Designing Woman Fame), ordered this set of glasses from me to give to her husband (Gerald McRaney) for when they host game-night in their home. It was one of the most exciting things that has ever happened (yes, my life is rather boring)! I adore the thought of them both drinking out of these glasses that I painted specifically for them! Priceless!! 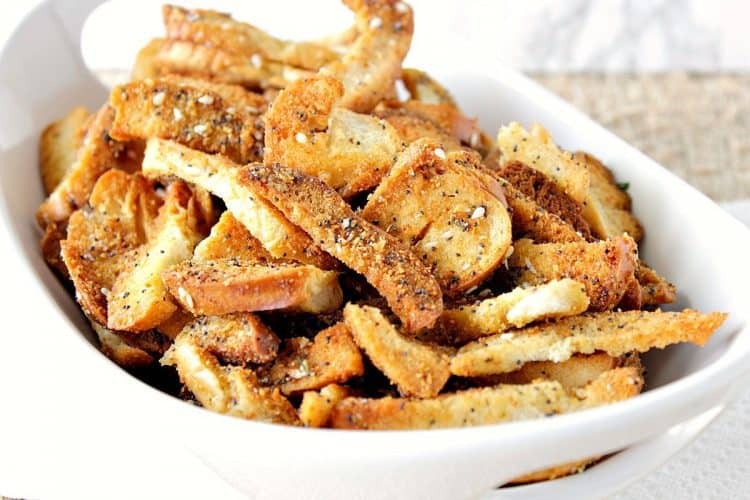 Should you have any questions or comments regarding this recipe for Everything Bagel Chips or anything else you’ve seen on my site, please don’t hesitate to contact me directly or leave me a comment in the comment section below. It is always my distinct pleasure to get back to you with a reply just as soon as I possibly can! Look at these!!! 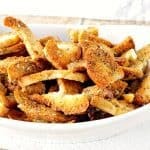 I wish I could get my hands on some of these because they sound like the best kind of crunchy snack for this afternoon! I LOVE the idea of making these at home! That way you can customize as much as you would like! Thanks for the brown bag tip too. Thanks, Dorothy. The bagel chips stayed fresh and crunchy all week stored in the paper bag. Plus, the bag helps to absorb some of the extra oil from the chips. Win. Win. I love this. I have never heard of it but this sounds genius! Oh wow – You’re sooooo talented! Those glasses are absolutely adorable! And these bagel chips are such a perfect little snack for game night – I can see why you had to shoo your son and hubby away before they ate them all! Great tip on storing them in a brown bag, too – that’s really helpful! You are so kind, Shelly. Thank you so much! Everything bagels are my favorite, so I could snack on these chips all day long! LOL! I know the feeling!! I love everything bagels, so this recipe needs to be tried asap!! You’re going to be making these all the time!! These are so yummy! 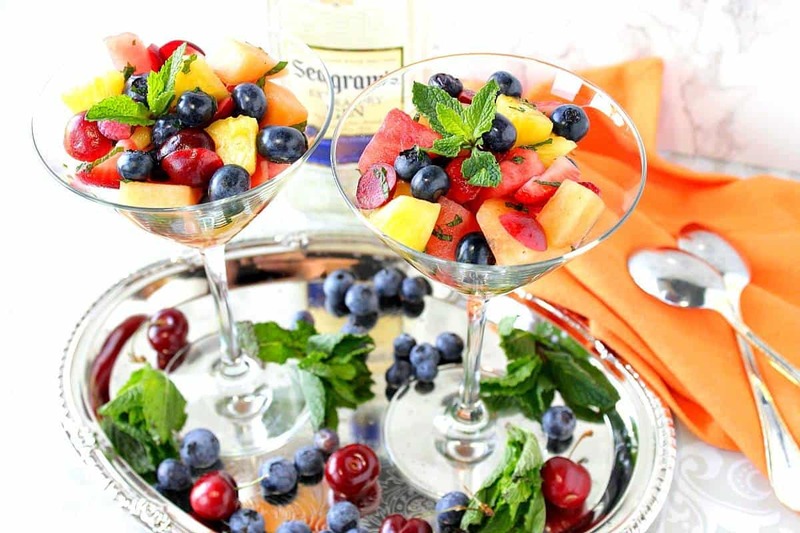 A great appetizer addition to any party or gathering. My guests raved about them! 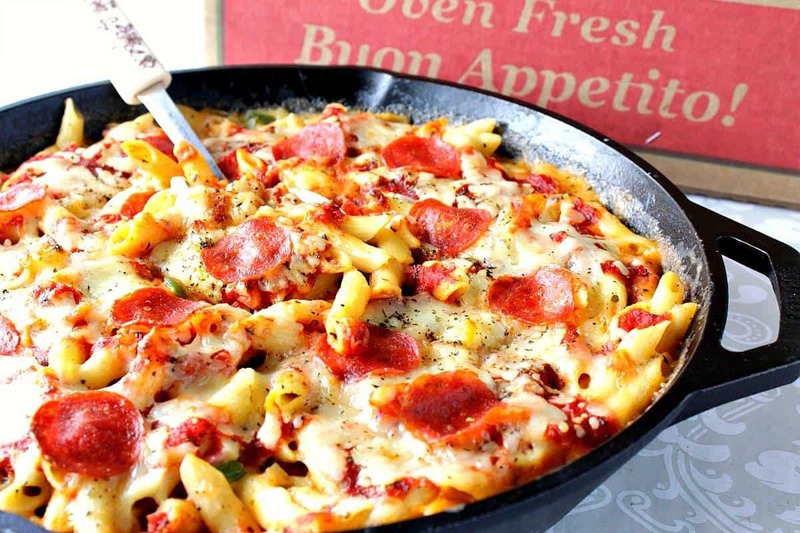 Those look sooo good and love how easy it is to make them. Easy, quick, and flavorful. What more could you want from a tasty snack?